We are Switching on Learning at the Windsor-Essex Catholic District School Board. We use technology to help facilitate learning. This blog is designed to share ideas, tools, and methodology to use technology to enhance the learning experience. I have had the pleasure to sit in on some of the hangouts hosted by Exploring By The Seat of Your Pants. As stated on their website, "The primary goal of Exploring By the Seat Of Your Pants is to knockdown classroom walls and take students anywhere in the world, never having to leave their desks. We aim to accomplish this by connecting students with exciting guest speakers and virtual field trips from around the world. Our focus is providing lessons related to science, adventure and conversation, but won't be limited to these areas!" The Turtle Hospital opened its doors 1986 with four main goals: 1) rehab injured sea turtles and return them to their natural habitat, 2) educate the public through outreach programs and visit local schools, 3) conduct and assist with research aiding to sea turtles and 4) work toward environmental legislation making the beaches and water safe and clean for sea turtles. Len is an experienced adventurer and expedition coordinator with a solid safety track record. 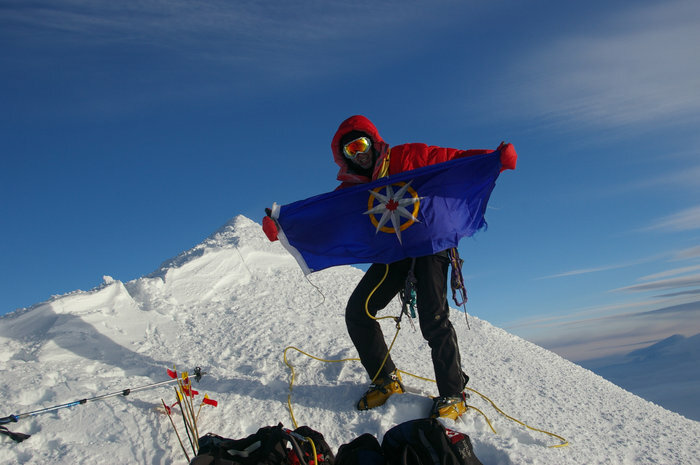 Barbeau Peak, Nunavut will be the last Canadian highpoint in the Summits of Canada quest by Len, scheduled for June 16 -29, 2017. To date, no Canadian has reached each provincial and territorial high point. Completing Canada's highpoints in 2017 times perfectly with Canada's 150th celebration, and we wish to take advantage of this unique year in further promoting Canada's diverse geography, its people and culture. David has witnessed 22 eclipses in 15 countries on 7 continents and he's continuously planning exotic adventures to strange and wonderful places on the Earth to stand in the shadow of the Moon! Since 1991, he has chased eclipses of all kinds to every corner of the globe – from India to Brazil, Antarctica to Libya, Mexico to China. For millions upon millions of people the eclipse in America on August 21, 2017, will be the best chance to see a Total Eclipse of the Sun in this lifetime. I like buying the latest and greatest gadgets and can wield a T.V. remote with the best of them, but I'm not tech savvy by any means. My two-year old knows how to unlock my iPad and play Angry Birds, while I struggle to properly use the microwave without burning the house down. I'm a simple man. Two years ago, Doug Sadler and Joe Sisco took on the arduous task of introducing me to Tools2Go - the Windsor-Essex Catholic District School Board's version of Google Apps. Keeping in mind that I forget my First Class password on a weekly basis and yell at my laptop when IT makes a mistake, it's easy to say that they had a long road ahead of them. I consider these men the Patron Saints of Software and under their tutelage, I was able to navigate Tools2Go (document creation and collaboration, website development, etc.) and model it for my students within days. Students in Sonia Jeannotte’s Grade 11 English courses arrive for class in different ways these days. Her 55 students see her each day in class at FJ Brennan, but they also belong to a community of online learners using the e-Learning Ontario’s learning management system, or the LMS. Sonia has implemented a blended learning model with her both of her Grade 11 English classes by delivering most of the course in the traditional face-to-face setting and supplementing what she does using the LMS. When students login to the online classroom, they may read instructions from Sonia, access course content, submit assignments, and collaborate with other students in the class anytime, anywhere. So students have 24/7 access to course content and can participate in 'class discussions' during the school day as well as from home. Next year, Sonia plans to have students submit work as well. WOW! I recently found these AMAZING Google Cheat Sheets online created by Ben Cogswell from Alisal Union School District. Thankful that Ben has generously allowed me to share them here as well. Check out more of Ben's posts on the Alisal Edtech blog.